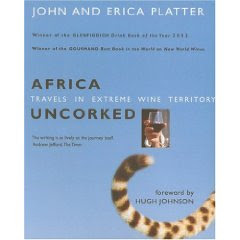 This month the Wine Book Club, the online reading group for wine lovers and readers, read John and Erica Platter's Africa Uncorked: Travels in Extreme Wine Territory ($29.95; $22.76 from amazon.com). This book was a terrific escape for me, complete with pictures, compelling writing, unbelievable stories, and a true spirit of adventure. I highly recommend it to armchair travelers as well as anyone who thinks they lead a tough life. I'm here to tell you that you have no idea what tough is until you've seen the lengths people go to in order to grow wine grapes in arid, predominantly Muslim Africa. I was joined this month by Kori from Wine Peeps, who was equally enthusiastic about the book. Like me, she was impressed by how dedicated the African viticulturalists were, and said "the book weaves a fascinating tale of how doggedly determined winemakers have accepted the challenge of producing wine when all the odds are against them." The book is illustrated with pictures and wine labels, and is arranged by region, spanning the continent from north to south. The Platters begin in Morocco, travel east through Ethiopia and Kenya, hit the islands of Madagascar and Mauritius, before winding up in South Africa. Through every part of their journey the Platters combine their love of food and their love of wine with a sensitivity to local customs. 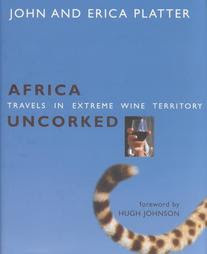 One of the best parts of the book for me was how they managed to paint a portrait of African wine as a whole while retaining an appreciation for the local. Thanks once again to Kori for joining me in reading this book, and I'll see you next month for another great read. "I will pay you for whatever you do for me." "Then I'm your huckleberry. Who are you and what do you want to know?" Turns out, in early 20th-century slang, a "huckleberry" was the perfect person for a given job. If you're looking for a wine that delivers great fruit, nice acidity, and excellent complexity at an affordable price, then this wine will do the job perfectly--with excellent QPR. 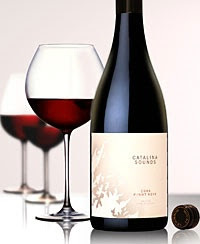 The wine had a deep, rich purple color with enticing aromas of sweet huckleberry pie, herbs, and eucalyptus. Flavors of deep, smoky huckleberry and blackberry, with high notes of blueberry, make this wine juicy and fruit forward without being cloying or jammy. The spices on the finish reminded me of allspice, and the relatively low alcohol for Petite Sirah (13.5%) made this a wine that you could drink throughout dinner without regretting it the next day. All in all, a stunningly good example of the variety, especially for the price. Pair this wine with anything you'd have with Syrah--like macaroni and cheese, pulled pork, barbecued chicken, or ribs--and drink it over the next year or so to enjoy its fresh, fruity flavors. I couldn't resist the label--or the name. Give me a picture of the solar system and something that captures my uneven emotional state most days and I'm a goner. Problem was, I wasn't all that freaked out by the wine inside. I bought my bottle of 2006 Luna Vineyards Freakout for $12.99 from the Carpinteria Wine Company, a great little wine store on the Central Coast. The wine inside was a perfectly decent, not terribly exciting, neutral white wine that (for that price) represents good QPR. Blended from Pinot Grigio, Ribolla Gialla, Sauvignon Blanc, and Chardonnay the resulting wine is citrusy with earthy undertones that reminded me of cooked lentils. Because of those earthy notes--which I think comes from the Ribolla Gialla, but I'm a relative novice with that variety, so take it with a grain of salt--this wine was much better with food than without. Something made with mushrooms with cream would be an ideal partner for this wine, for instance. In the end, this wine mystified me. Luna Vineyards are terrific. I like their Pinot Grigio enormously and hey, what's not to like about Ribolla Gialla? But I just couldn't get behind this white blend. Instead of the different varieties working together to produce a whole that was greater than the sum of its part, it seemed mushy and out of focus to me. If you're looking for an affordable, neutral white wine this one won't disappoint. If you're looking to be freaked out, look somewhere else. Chardonnay, Riesling, Sauvignon Blanc, Cabernet Sauvignon, Merlot, and Pinot Noir are the key players in grape cultivation and wine production--and they have been for some time. 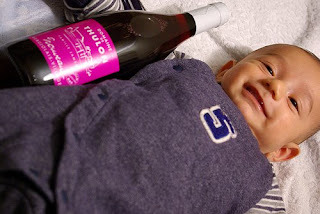 Find out why--and get my recommendations for afordable bottles in the market now--in this week's Serious Grape column over on Serious Eats. I reviewed my wine cellar and for a woman consumed with new grapes I've got a lot of bottles made from these traditional varieties. Just under 40% of the wine now in my possession is made primarily or exclusively with one of these grapes. How about you? How largely do the noble grapes figure in your wine drinking habits? That's what I'm looking for when I open a New Zealand Sauvignon Blanc. I remember my first bottles from Marlborough, and how they blew my tastebuds away with their clarity and clean lines. Then the aggression emerged--too much boxwood and cat pee, too much grass, too tart. This wine snaps, crackles, and pops with life. The aromas absolutely bowl you over--citrus, gooseberry, herbs and--as it opens up--flowers. The intriguing floral note in the wine's aromas carries through in the palate, which is resoundingly tart and fresh, tingling over your tongue. A deeper, blood orange note creeps into the aftertaste. This wine represents excellent QPR, and is fully worth the suggested retail price. This wine has the pizzazz to stand up to Mexican or other spicy cuisine. We had it with a Southwestern Tortilla Salad and its fresh citrus and herbal notes were lovely with the lively flavors of the food--and something wonderful happened when the wine combined with the cilantro. Somehow, the Sauvignon Blanc muted the assertiveness that cilantro can sometimes have, while keeping it bright. If you see this wine, grab it. I've always blamed it on UC Davis. I took their "Introduction to the Sensory Evaluation of Wine" course and I came out of it smelling green pepper in Cabernet Sauvignon and talking endlessly about currants and gooseberries. My dad puts me to shame when he describes a wine. He smells all kinds of things--rhubarb, for instance--that elude me. And I think my niece is going to put me to shame, too. She's thirteen. We were visiting friends in Paris and they--in true French fashion--offered her a taste of the delicious Chenin Blanc we were having with dinner. She refused, but did allow as how she'd like to smell it. I handed her my glass, expecting her to twist up her face and say "blech." Instead, she lowered her nose into the glass and made an appreciative sound. I asked her what it smelled like, and braced myself for the response "wine." Her grandmother frequently has this response, and the child is, after all, thirteen and eats mostly white meat chicken and rice. What does she know of gooseberries? "Citrus and meadowlands," was her reply. I almost fell off the sofa. She pretty much nailed the aromas in the wine--and it's not because we text message each other about wine. Her parents drink wine but I think both would admit that they enjoy sipping it more than talking about it. And I see my niece once every few years--so I haven't contaminated her with winespeak. I've been thinking about her response ever since and wondering if wine appreciation has a genetic component. That's not to say that education means nothing--I think it means a lot. But I do wonder now if both an interest in wine and the ability to taste and smell a wide range of flavors and aromas in wine also depends on your DNA. I'm sure there's a scientific study somewhere that talks about this, but I want to know what you think. How do your sensory abilities with respect to wine stack up to your parents and grandparents? What about your kids? And if you have kids who smell wine, I wonder if they are less inhibited and more intuitive in their descriptions. As we age, do our minds tell us "there's no raspberry in that," whereas once our noses were screaming "berries, yum, berries"? Welcome to Wine Blogging Wednesday, the online tasting event dreamed up by Lenn Thompson of LennDevours. Today, our host is Richard the Passionate Foodie and his theme honors the ancient god of Sake. I know almost nothing about Sake. I know it's made from rice. That's about it. And given my remote location in the summer, I was a bit worried about finding a bottle of the stuff to taste. But even my centrally-isolated coastal market had a small selection of sake, hiding underneath the cooking Sherry. Most of it was either worryingly expensive (more than $25) or worryingly inexpensive (under $5). One option was cloudy and had "rice bits" in it, and that seemed too advanced for this palate. So I picked a small-format bottle that cost just about $17. 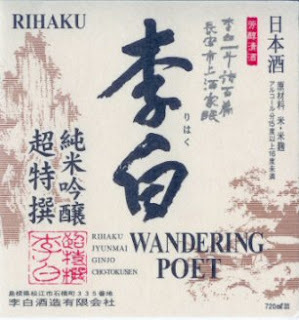 Richard has a great rundown of Sake styles on his blog, and from his list I learned that the Sake I selected--the NV Rihaku Wandering Poet--falls into the Junmai Ginjo category. 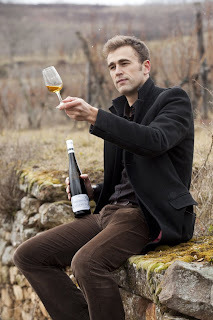 That means the wine should be full-bodied, with good acidity, and be fragrant and complex. Richard likes Junmai Ginjo as his "everyday" Sake. I found the wine to be somewhat difficult to describe in terms of aromas and taste. It was like nothing I've smelled before--slightly glycerine, slightly yeasty, slightly reminiscent of beer. There was a clean, yeasty taste on the tongue, with a relatively full-bodied feel in the mouth. More yeasty, glycerine notes appeared in the flavors. I liked the Sake, but at $16.99 for 375ml it's probably not something I'd rush out and buy again, and I would say it represents good QPR. However, I am intrigued and want to learn more. So this has been a great experience, because it's going to widen my wine horizons. Thanks to Richard for a great theme, and I look forward to reading the other posts and learning more about Sake. What happens when a winemaker like Maria Martinez Sierra--known for her red wines at Bodegas Montecillo in the Rioja--turns her attention to white wine instead? Something wonderful if this bottle is any indication. The 2006 Bodegas Montecillo Verdemar Albariño is made from grapes grown in Spain's Rías Baixas region, and it's the first vintage of the wine available in the US. I found it to be a textbook Albariño with delectable citrus, saline, and bread dough aromas. There were flavors of apple, along with more doughy and citrusy notes, and a salt spray finish. This is an excellent QPR effort from Bodegas Montecillo, with their typical attention to varietal correctness and every element in perfect balance. The suggested retail is $14, and you may be lucky enough to find this (or a later vintage) near you for around $12. Albariño is a perfect partner for shellfish, and I'm particularly fond of it with clams. So peel yourself some shrimp, crack into a lobster, or steam some Little Necks and enjoy this zesty, summery wine with friends. Today on Serious Grape: Does Your Stemware Matter? If you are planning to drink wine from a plastic cup this weekend, you may want to think twice. 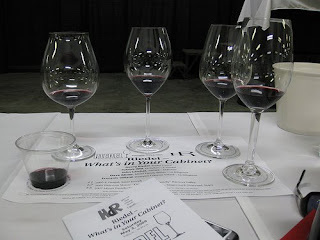 At this year's Hospice du Rhône I attended a seminar on wineglasses led by Georg Riedel. My experiences in that seminar convinced me that the shape of your wineglass really does matter, and that drinking wine out of a plastic cup makes even good wine taste like Welch's grape juice. Check out my experiences in today's Serious Grape column on Serious Eats. What do you think? Is this all hooey, or does stemware matter to a wine's taste? I have to confess I am extremely ignorant about African wine. I don't even know that much about the wines of South Africa, never mind what's going on elsewhere. So I am looking forward to finding out about where grapes are grown on the continent and about wine culture, too. A long time ago (so long ago I can't find the comment now!) a reader suggested the Platters' book. It's taken me a while to get around to it, but now that I've got it in my hands I'm really looking forward to reading it. Other critics have described the book as "wise and visionary" (Jancis Robinson) and "the most original wine book in years" (Hugh Johnson). So why not get yourself a copy and join us as we find out more? If you do join in and want to leave your thoughts on the book you can either leave them in the comments below by Wednesday, July 29 or (if you have a blog) you can leave the link to your post here in the comments or send it to me via email. I'll post a roundup of the reviews on Thursday, July 30. And if you want a recap of what we read last month, check out Kori's wrap-up of our reviews of Jamie Ivey's La Vie en Rosé over on her blog, Wine Peeps. Thanks again to Kori for hosting while I was away. The summer puts me within arms' reach of my wine cellar--a long windowseat in a house in the woods that that never goes above 60 degrees. (you can see the tell-all pictures here) Every wine bottle I unearth has some history attached to it--where I bought it, when, why--and it feels like greeting an old friend to see them again. While puttering in the windowseat I found two bottles of Cabernet Sauvignon-based wines from the 2003 vintage that had entered my cellar the same month--December 2006. One was from France's Haut-Médoc region in the Bordeaux. The other was from California's Alexander Valley. I decided to grill some steaks and open both bottles to compare their taste and their readiness for drinking. I like experimenting with cellaring wines, and usually find that my patience is rewarded. The first wine, the 2003 Château Cantemerle, cost me $20.99 from K & L Wines. I purchased several bottles in April 2006 as Bordeaux futures. 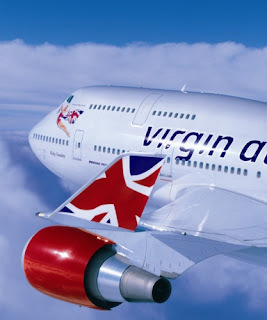 They arrived in December 2006 and were promptly stored in my windowseat cellar. Even six years after harvest and with two and a half years of cellaring I think it might have been a bit early to open up this wine, which is made from a blend of Cabernet Sauvignon and Merlot. When I pulled the cork, there were aromas of earthy funk and leather. Over the course of the evening, plum and cassis aromas and flavors were added to the earthiness, along with some herbal notes. What I most liked about this wine was its silky texture, and the way the wine tasted like a cross between a Burgundy and Bordeaux. The wine was still awkward, though, a little like a gawky adolescent. Nevertheless, I think it represented very good QPR for Bordeaux, and will be interested to see how the other bottles develop over the next 2-4 years. 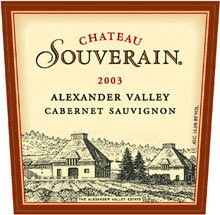 I purchased the second wine, the 2003 Chateau Souverain Cabernet Sauvignon, in December 2006 at Costco. The price was $14.99, and it's been waiting in my cellar ever since. I expected this bottle to be a bit more integrated and really hitting its stride--and it was. Alexander Valley Cabernets are (in my opinion) a bit "old world" in style, so I was ready for the initially strong aromas of cassis and bell pepper that I associate with red wines from this part of California. As time passed, however, there were more plummy and cassis aromas and flavors, accompanied by some toasty oak, and the vegetal notes faded. I liked this wine's lushness, and its cinnamon-inflected finish. All in all, I thought it was excellent QPR for the price paid and was glad that I'd let the wine sit as long as it did before opening it up. Right now the wine's compexity is evident. If you have any of this wine in your cellar, I suggest opening it up now or over the next two years. If you've got some 2003 Cabernets in your cellar, are you drinking them yet? And if so, what are your experiences?